DO.LI.ART. SRL, Broširanje, knjigoveštvo in končna obdelava, Založništvo - razni izdelki, bookbindery, na EUROPAGES. Do.Li.Art. 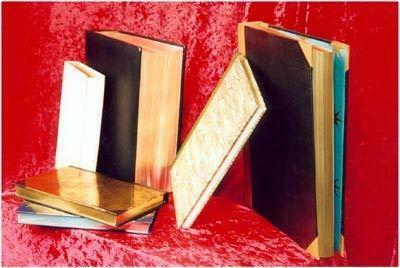 carries out gilding, silvering and colouring work on book edges. Book edge specialist. Do.Li.Art. proposes a number of services and special products that are rarely found in the market but of great manufacturing value. Our services include: colouring work on book edges; gold or silver edge work; treatment of products for luxury publications; gilding and silvering on book edges and also colouring pages and customizing stationery items.